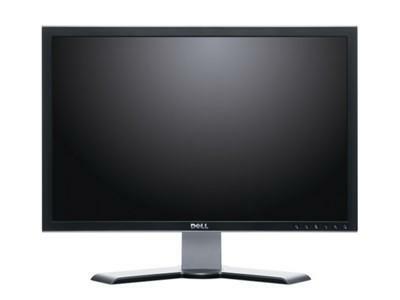 Dell UltraSharp 2007WFP is a 20.1-inch widescreen flat panel LCD monitor with height adjustable stand and offers a resolution of up to 1680 x 1050, 800:1 contrast ratio, and ships with D-Sub/DVI-D/S-Video/Composite connectors. CNet reviewed Dell UltraSharp 2007WFP and rated the LCD monitor with the rating of 7.8 out of 10 (Very good), and concluded that the Dell UltraSharp 2007WFP, a 20-inch wide-screen LCD, serves up a winning combination of features, image quality, and adjustability–all for a very reasonable price. The good: Excellent image quality; includes composite and S-Video inputs; HDTV-compatible wide screen; excellent ergonomics; attractive price. The bad: Onscreen menu is difficult to navigate; base is slightly unstable while adjusting.